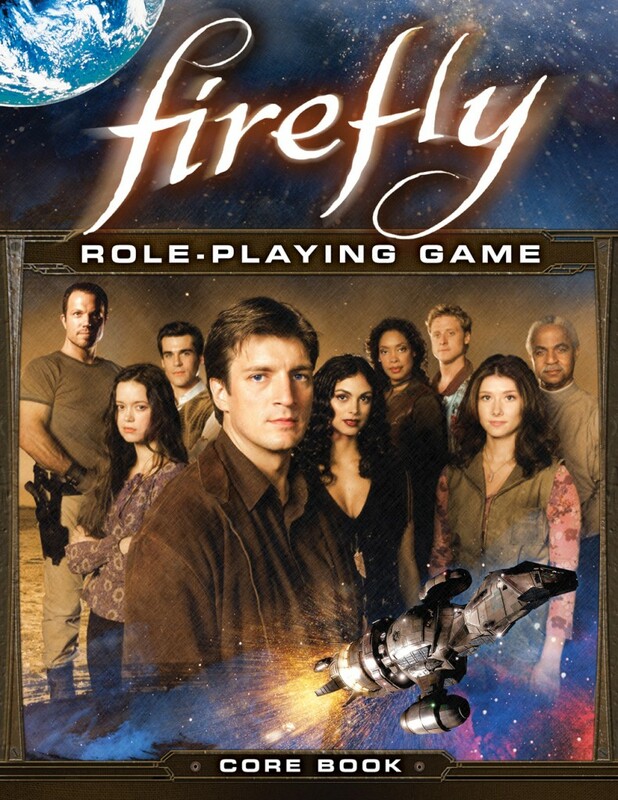 Today, I am thrilled to announce that the Firefly RPG corebook will be released in digital on Wednesday, April 2nd. You can get a copy of this 366 page full-color PDF on DriveThruRPG.com. Shiny! We have more news, too, for pre-order customers and those who prefer a physical copy. Hop on over to www.margaretweis.com to read: Creative Directions…with Monica! I hope you enjoy this game. I am very, very excited about this release and can’t wait to hear how you’re playin’ in the ‘Verse! 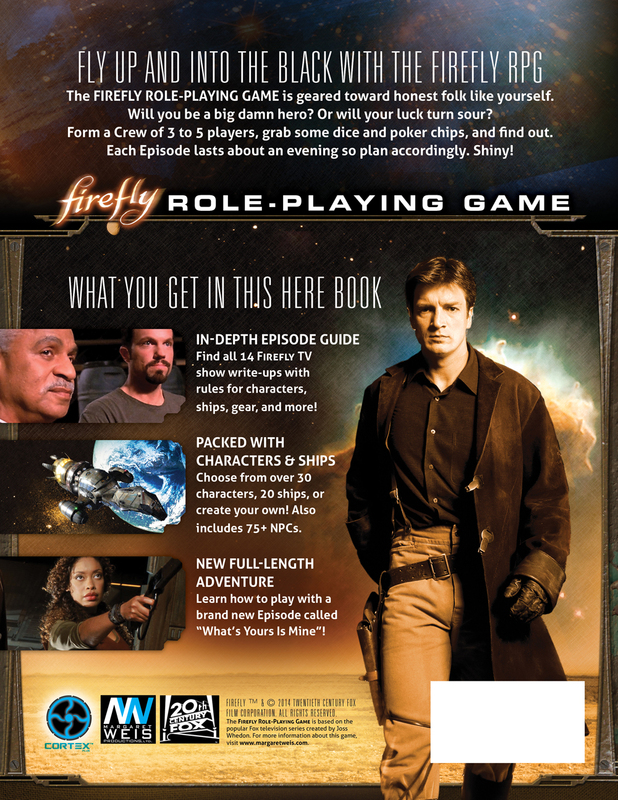 Popping in quick today to share with you the new Firefly RPG cover. The illustrated cover we posted previously will be a full page title piece. We’ll be making an announcement next week to clarify the release date. The text has been approved; we’re now zeroing in on the art. Time-stamping this update: March 27, 2014. Otherwise, if you’re reading this far into the future, you may not realize this news is time-sensitive! We are still taking pre-orders, by the way. Here’s the link! And here’s the back. What do you think? Is over 30 pre-generated characters and 75+ NPCs enough? Hee. 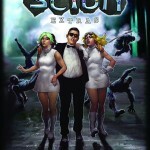 Scion: Extras (Supplemental Yet Can Be Somewhat Useful On Occasion Scions) – This is an RPG supplement for Scion. It has insignificant gods! Paths of Storytelling – This includes a choose-your-own adventure style piece I wrote for Vampire the Masquerade. I wrote the Gangrel story. There’s spaghetti. And luchadors. Did I mention a luchador? The Squirrel – This is a poem about a terrifying squirrel. Terrifying! Based on Poe’s The Raven. Maybe one day when I have infinite amounts of willpower I will share all the easter eggs found in these, but for now? Back to work!!!!!!!!! Mood: What day is it again? Work-Out Minutes Logged Yesterday: Typing my arse off. Book Last Read: A book I hated. It was awful. Movie Last Viewed: Some movie about the 9th legion. Can’t remember the name of it. What I’m Working On: Primarily tie-in games work and novels. For the holidays, our tradition is to explore different recipes related to that special day. We tend to celebrate St. Patrick’s Day because it’s so close to my birthday and my partner is Irish. This year, I’m making Shepherd’s Pie, Irish soda bread, and blackberry custard with liqueur for dinner. I picked up a cappuccino stout to go with, too, and will likely be diving into Skyrim after the work day is done. We’d definitely like to visit Ireland some day and visit with friends and family. The island has a rich history and, like many countries, I’d like to read more about it. Funny how the holiday has changed so much from its 17th century origins as a religious feast day (there used to be a LOT more of these) to a pseudo-celebration of the Irish culture. That’s what time and our ever-expanding civilization does, I suppose! 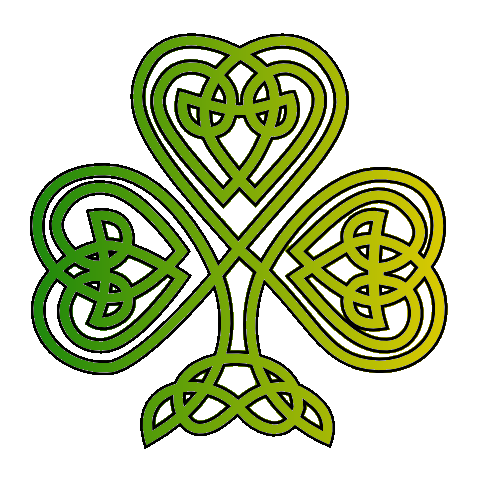 Hope you have a wonderful St. Patrick’s Day!!! Work-Out Minutes Logged Yesterday: I relaxed. It was goooood. In My Ears: My brain is very loud today. Book Last Read: A huge pile o’ reference books. My friend Kerrie Hughes linked to an article about LuminAID on Facebook the other day. I checked into this further, and the solar-powered light has a cool story behind it. The light is available to buy or donate. For less than $30 you can get one and give one. I love the fact that the light weighs less than four ounces, is totally packable, and solves a basic need. Science is cool. Caffeinated Beverages Consumed: Yep, soda is a problem. Very clearly. Work-Out Minutes Logged Yesterday: I hang my head in shame. Diet’s going well though! In My Ears: Not one, but TWO fish tanks.